Prafulla Chandra Ray was a chemist, an industrialist as well as a Bengali nationalist. He was born on 2 August 1861 in Bengal Presidency in British India, and later founded Bengal Chemicals & Pharmaceuticals, India’s first pharmaceutical company. He also established the first Indian research school in chemistry and is regarded as the father of chemical science in India (Dasgupta, 2011). In addition, he was the author of A History of Hindu Chemistry from the Earliest Times to the Middle of Sixteenth Century (1902). Ray was only 21 when he came to Edinburgh, having already graduated from the University of Calcutta in 1879 (Gillespie, 1975). He started his BSc in 1885 and DSc in 1887, funded by a Gilchrist Scholarship. He was subsequently awarded the Hope Prize which allowed him to work on his research for a further period of one year after completion of his doctorate. While a student he was elected Vice-President of the University of Edinburgh Chemical Society in 1888 (Petitjean, Jami & Moulin, 1992). Inspired by his teachers in Calcutta, Ray decided to make chemistry his career, as he recognised that his country’s future would greatly depend on her progress in science (Journal of Indian Chemical Society, 1944). One of his classmates in Edinburgh, the geographer Hugh Robert Mill, remembered him as “the most enlightened Hindu I ever met, speaking and writing English with grace and fluency, and singularly at home in European modes of thought.” (Mill, 1951). He published an essay named India Before And After The Mutiny in 1886 as his entry in the competition for a prize offered by the Rector. English was not his native language and yet he was able to win joint second prize which was a remarkable achievement. In this essay, he critiqued the British Raj. He dedicated his essay to the students of the University of Edinburgh, many of whom might be called upon “to assume civic functions, and to exercise a potent influence in the affairs of Empire. Tomorrow you will be arbiters of the destinies of 250 millions of human beings, your own fellow-subjects.” At that time India was still under British rule and his work gave an insight into the struggles of Indians studying in Britain, many of whom were at the University of Edinburgh. He hoped the new generation would lead to “the dawn of a brighter and happier era for India.” About the Indian Rebellion, he said, “lamentable condition of India at present is due to England’s culpable neglect of, and gross apathy to, the affairs of that Empire. England has hitherto failed – grievously failed – in the discharge of her sacred duties to India.” (Ray, 1886, p2). While many believed that the British rule of India had brought economic benefits to the country, Ray dismissed that view. He reflected on the poverty in the country and said, “India is a country of famished peasants, rather than of Rajas and Nawabs.” (Ray,1886, p55). High taxes were imposed on people which yielded little or no return in the form of community or social services. These taxes were imposed to increase the expenditure on British defence. Thus, the Indian economy was subordinate to the needs of Britain. He said, “Japan is governed for the Japanese by the Japanese; India is governed by an alien nation, to a large extent, if not mainly, for the benefit of itself.” (Ray, 1886, p60). Like many of his contemporaries, Ray believed that these problems could be addressed by reducing bureaucracy and by localising the administration. However, the Raj was deeply resistant to change. “Ask the Government of India to create a new bureau, and it responds to your call with singular alacrity and promptitude; ask the Indian Government to abolish a department, then evasion and procrastination become its watchwords. The superior claims of the natives of India are beyond question … their competence has been fully established as far as we can judge. Of late years (in rare cases) some of them have been raised to the bench, and in no instance that we know of have they proved unworthy of the confidence reposed in them, As regards their marvellous administrative and financeering capacities, they are only conspicuous by their superiority to, and excellence over, Englishmen.” (Ray, 1886, p65). He believed that with a newly revitalised public service, government expenditure could be better prioritised to meet identified economic and social needs. Scientific knowledge and technical education would play a critical role in ensuring these initiatives were realised. 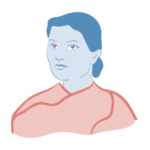 “The poverty of India lies chiefly in the fact that she has to depend on agriculture, and agriculture alone. If India is to prosper she must adopt the tactics of the European nation and industrialise. But no significant progress would be made until there was major investment of personnel and resources in education with a scientific and technical focus. A government that can squander ten million pounds on ‘palatial’ barracks, but which cannot spare a farthing for laboratories, should forfeit the title of a civilised government.” (Ray, 1886, p68). While many of his British contemporaries endorsed imperial interests and helped consolidate the Raj, Ray’s questioning of the legitimacy of imperial control, and his views on India’s future, are an important indicator of how opinion in India was likely to evolve. His views were probably shared by some of his fellow Indian students at the University of Edinburgh at this time. After his return from Edinburgh, Ray joined Presidency College, Calcutta as temporary Assistant Professor of Chemistry in 1889. He was the president of the 1920 session of the Indian Science Congress. Over the course of his career, Ray published innumerable papers. He had written 107 papers in all branches of Chemistry by 1920 (Petitjean et al. 1992). In 1902, he published the first volume of A History of Hindu Chemistry from the Earliest Times to the Middle of Sixteenth Century. The second volume was published in 1909. He donated money regularly towards welfare of Sadharan Brahmo Samaj, Brahmo Girls’ School and Indian Chemical Society (Lourdusamy, 2004). He remained a bachelor throughout his life. A remarkable man, Prafulla Chandra Ray passed away in Calcutta on 16 June 1944 aged 82. Gillespie. C. C.. (Ed.). 1975, Dictionary of Scientific Bioaraohv. 16 Vols., New York, Charles Scribner’s Sons for the American Council of Learned Societies, Vol 11, pps. 318-19. Lourdusamy, J, 2004, Science and National Consciousness in Bengal: 1870–1930, Orient Blackswan. Mill, H. R., Autobiography, London, Longman Green & Co.,1951, p.38. Patrick Petitjean, P, Jami, C and Moulin, A.M., 1992, Science and Empires: Historical Studies about Scientific Development and European Expansion, Springer, available at: https://books.google.com/books?id=JnUeeLgYaowC&pg=PA66. Retrieved 30 September 2013. 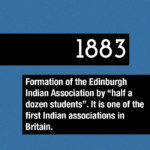 OLDER1883 – Formation of the Edinburgh Indian Association by “half-a-dozen” students.